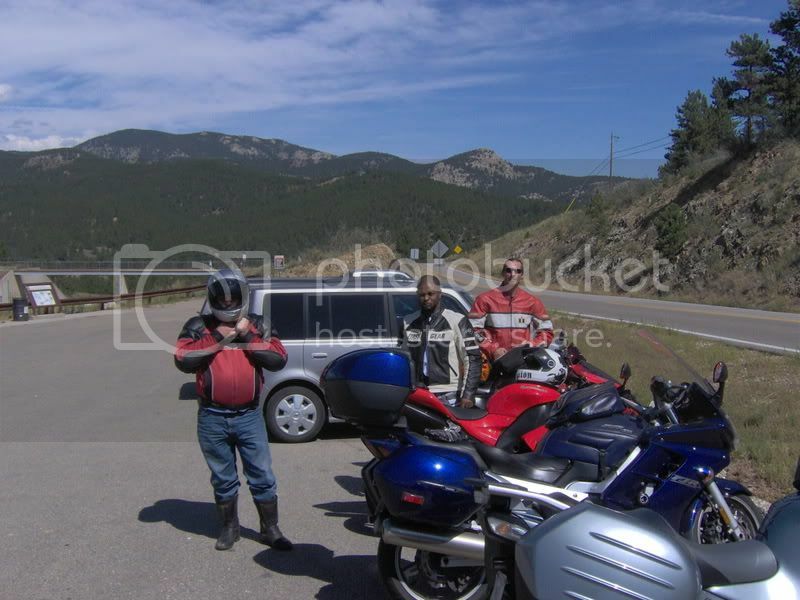 Here is a link to all the pictures of my labor day ride to Colorado, Had a great time with Julie and Alan, spent 3 days riding with Alan and 1 day with mayo, all in all we averaged 300 miles a day in the mountians, my total trip was around 1800 miles, I had an awesome time thanks to Julie and Alan, what great hosts they are!!!! was cool hanging with you as usual buddy. Great pics Deron, looks like you guys had a real good time. Love the mountain scenery. Deron, we love you and hope you'll come again--soon. awesome pics bud ! some of those first ones remind me of some roads we took in 05, the first year of RL. was that Tim and Jeanette with the VROD ??? man, i'd love to run into them next year, haven't seen them in sooo long. oh, and YES, Julie and Alan are fantastic hosts ! actually, i have a list of people i know that fit that bill. Yup that was Tim and Jeanette, it was good to ride with them again, They are good people too!!! I got his number we can give him a call next year. definitely, would love to make that happen. You still coming to Texas this fall, or has that already happened?